Father Theodore “Ted” Hesburgh was a legendary Catholic priest and president of Notre Dame from 1952 through 1987, during a period of monumental religious and social change. Hesburgh was in the middle of it, fighting for social justice, civil rights, free thought at his Catholic University and the growth of the school itself. 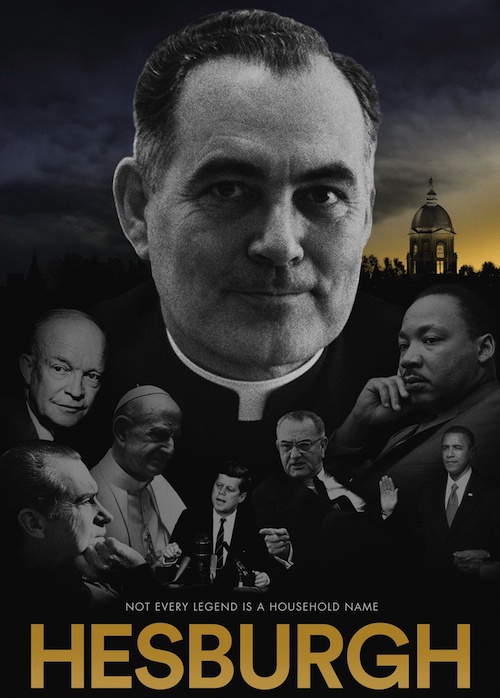 Director Creadon tells the priest’s story in segments rather than a timeline, but at the heart of those stories is Hesburgh, a man who those grand names of history admired, and who followed up on the tenets of Christianity as a bridge builder in society. For more details on the documentary, and ticket info, click here. 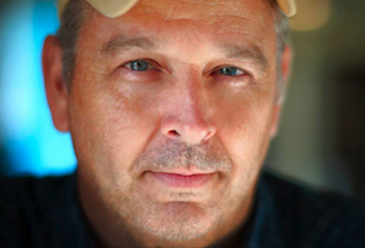 Patrick Creadon is a Notre Dame graduate (natch) and filmmaker veteran, wearing many production hats, but mostly known as a cinematographer and director. His debut doc was the acclaimed “Wordplay” (2006, about New York Times crossword editor Will Shortz), and his follow up was the prescient “I.O.U.S.A” (2008, about the impending financial meltdown). He has also tackled the subject of Notre Dame for the first time in one of the most famous “30 for 30” ESPN documentaries… “Catholics vs. Convicts” was a 2016 look-back at the 1988 showdown between the Fighting Irish and the Miami Hurricanes. In PART ONE of the HollywoodChicago.com Podtalk with Patrick McDonald, filmmaker Patrick Creadon of “Hesburgh” speaks about his interaction with Father Ted Hesburgh’s life and legacy, and the Catholic Church around him. In PART TWO, the director talks about his 2008 film “I.O.U.S.A,” working with voice actor Maurice LaMarche and the lessons of Father Ted. The Midwest Independent Film Festival presents “Hesburgh” on Tuesday, September 4th, 2018 (6pm start), at Landmark Century Centre Cinema, 2828 North Clark Street, Chicago. Patrick Creadon will make an appearance on behalf of the film. For more information about the festival, click here.